Sally Haley, M.D. 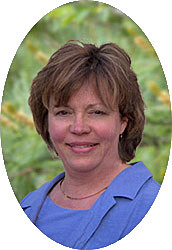 has lived in the Brunswick area since 1985 when she moved here as a Navy family physician. She did her undergraduate work at Western Maryland College and then earned a Master’s Degree in Science at the University of Maryland. Completing her medical studies in 1984 at the Uniformed Services University of the Health Sciences, she then served eight years as a military physician. After leaving the Navy in 1992, she studied psychiatry at Maine Medical Center and has worked part-time in mental health at the Veteran’s Administration Hospital at Togus since then. Her studies in Holistic Medicine have included: herbal medicine at Avena Botanicals, alternative medicine courses at Harvard University, mind-body training with John Kabat-Zinn, meditation with Thich Nhat Hanh and many nutritional & functional medicine courses through the American Holistic Medicine Association and the Institute for Functional Medicine. In 2010, she completed a year long training in medical acupuncture at Harvard University. She continues her studies through coursework with the American Academy of Medical Acupuncture. Her main focus of study however has been homeopathic medicine through extensive coursework with the School of Homeopathy in Devon, England, the New England School of Homeopathy, the Homeopathic Master Clinician Certification from Canada, and a myriad of conferences with internationally known homeopaths.